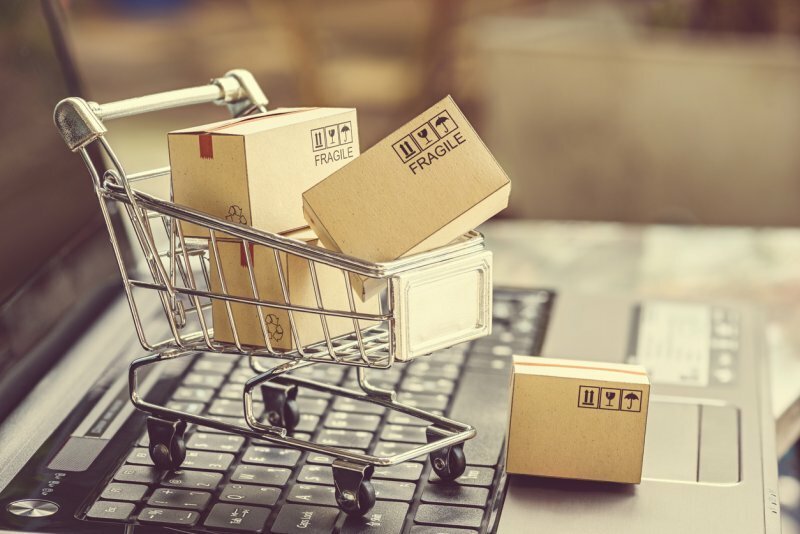 43% of small businesses who sell their products online say they have experienced significant revenue growth, according to a recent survey of more than 2,400 business owners. This growth indicates the ever-growing presence of the internet as a medium for moving merchandise. In fact, 81% of small businesses say online sales are important or very important to their business’s success. Most businesses who sell their wares online use company websites (66%), Amazon (24%), or eBay (22%). These online platforms provide services that make gaining product exposure easier and more viable for businesses who can’t afford lavish ad campaigns or fancy storefronts. Recently, however, ecommerce has been taking some heat from the man sitting in the oval office. Amazon, specifically, has been criticized by Donald Trump for their deal with the U.S. Postal Service. In fact, Amazon has also been blamed for the fall of Toys R’ Us. For the many business owners who feel their livelihoods have been attacked by the rise of Amazon, these accusations are welcome news. For the millions of small business sellers who rely on Amazon to fulfill their orders, however, the livelihood of Amazon is a crucial part of their businesses. Small businesses who use Amazon to to drive their sales are more confident in the future of their business than those who compete with Amazon for customers. In fact, 72% of small business owners who use Amazon to drive customers to their business expect revenues to increase in the next 12 months. Only 56% of people who compete with Amazon expect increases in sales. With ecommerce expected to have another year of significant growth (15%), it’s becoming imperative for small business owners to seek opportunities to bring their businesses online using services like the Amazon marketplace or by building a personal website. According to CNBC Small Business Survey data, only about half of all small businesses have a website. This will surely change in the coming years as ecommerce keeps growing. There will always be people who complain about the rise of online and the subsequent death of brick and mortar, but the only businesses who really get hurt are those unwilling to adapt to a changing commerce climate. Andrew Mosteller is a freelance writer and regular contributor to Lendio News. His upbringing in an entrepreneurial family nurtured a passion for small business at a young age. Andrew's father, an equity fund manager, taught him the ins and outs of investment financing. Now, Andrew spends his time writing copy for business owners, helping them expand and advertise their unique brands. He's also studying Strategic Communications at the University of Utah. When Andrew's fingers aren't glued to the keyboard, he spends his time reading, podcasting, composing music, and bombing down the ski slopes.